Embroiderers' Association of Canada, Inc.: Rock, Needle Scissors: Seminar 2017 Website Up! 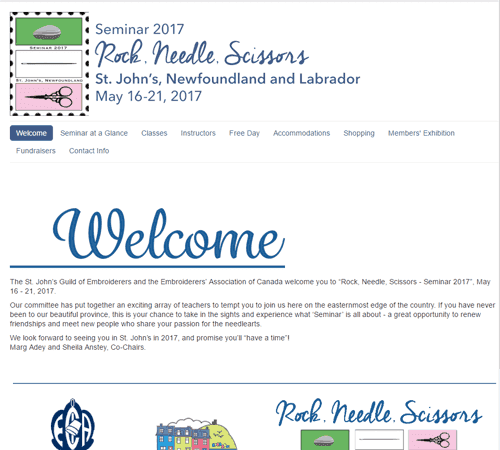 The website for Rock, Needle, Scissors: Seminar 2017 is up and running. You can take your time reviewing the classes and free-day tours. You won't be able to register for your choices yet - the registration component is set to start on September 1. As always, all registrations postmarked or received by November 15, 2016, will be treated equally for preference of classes.